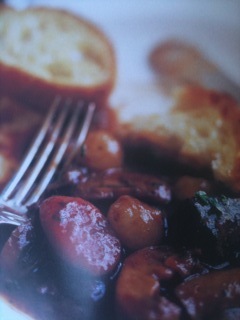 I’m going to start off with sharing the wonderful experience of making Ina Garten’s version of hearty Boeuf Bourguignon from her “Barefoot In Paris” cookbook. I learned that not only was Ina and her husband, Jeffrey, government workers (like Julia Childs and her husband, AND Julie from the movie “Julie and Julia”) who couldn’t wait to get home and cook French food, but I also learned how therapeutic cooking really can be. Truly it can be a chore or very good for the soul – I pray you feel the latter. I appreciate Ina’s changes to her recipe, because last night, it turned out FABULOUS! Ina, I appreciate it and I know my friends will too! 🙂 Check out Ina’s “Barefoot In Paris” cookbook or see one of her segments on the Food Network.